Bibury is the quintessential country village with beautiful Cotswold stone buildings surrounded by meandering rivers and sporadic, overgrown birch trees. If you are looking for a country weekend getaway then read on for recommendations on the top 3 hotels in the area. A beautiful Cotswold stone bed and breakfast. Commended with a Four Diamond Gold Rating by the AA, it assures quality similar to a Mayfair hotel, but maintains a personal touch expected from a family run business. If you prefer a more flexible stay, you can stay in one of the self-catering spacious cottages. The Cotteswold House is definitely a place for the luxurious country getaway. If you prefer a traditional 17th century country cottage then this may be for you. These highly sought after cottages (there are only four) are situated on the edge of the River Coln – a calm river separating the village. They may have been built over 300 years ago but the interior is very much modern fitted with modern day heating! Each cottage sleeps up to 4 people. In the summer, the glorious sun shines on the neatly kept gardens surrounding the cottages. A few minutes down the road and you can reach 2 fantastic restaurants serving only local produce and a picturesque country pub serving local beverages. 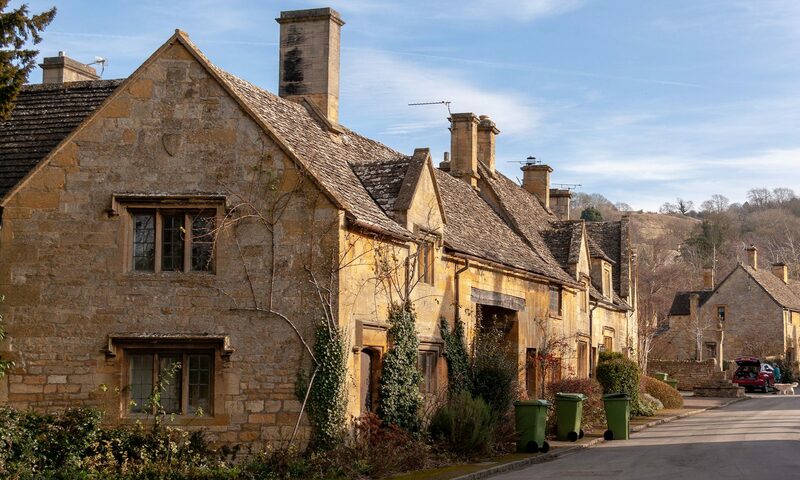 Visit Bibury Holiday Cottages here. For the ultimate country getaway, stay at the Bibury Court Hotel situated in over 6 acres of land. The country house offers exquisite afternoon tea in the most magnificent Cotswold scenery. The hotel is bound by the River Coln with many paths for gentle strolls. Take a look for yourself at Bibury Court Hotel.